Grace and Peace Quilting: Mystery Clue 4 + A Little Christmas! And of course, a lot of pressing. I love my new Oliso iron, and how it saves on my wrist. 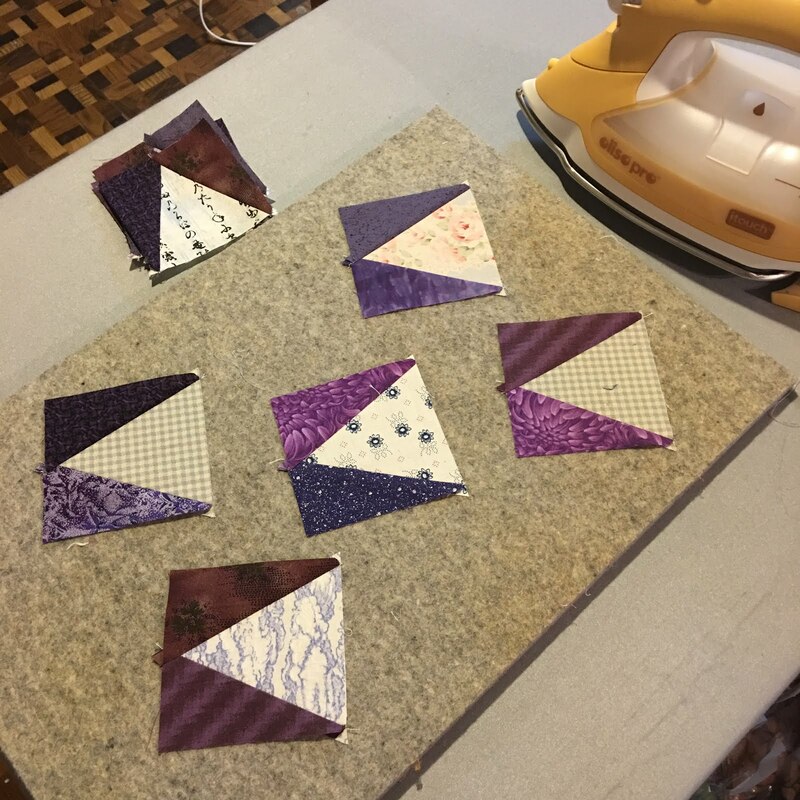 Here's a podcast with an interview of the inventor of the Oliso iron: Sit & Sew Radio. Start listening from minute 33. He talks about why he invented an iron that doesn't have to be propped up. 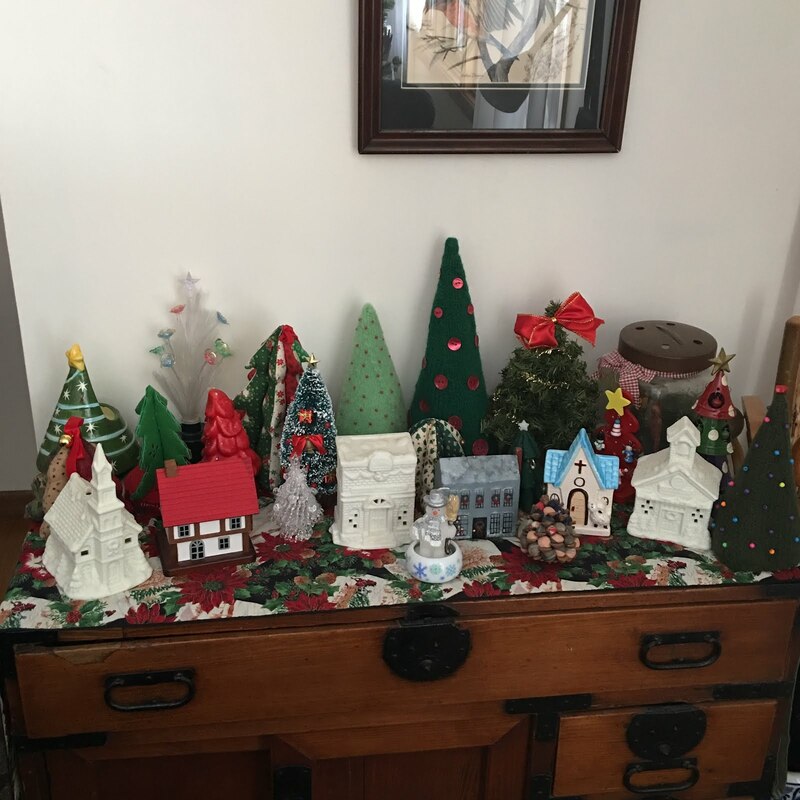 Our Christmas village, which has 2 churches, and more trees than buildings! 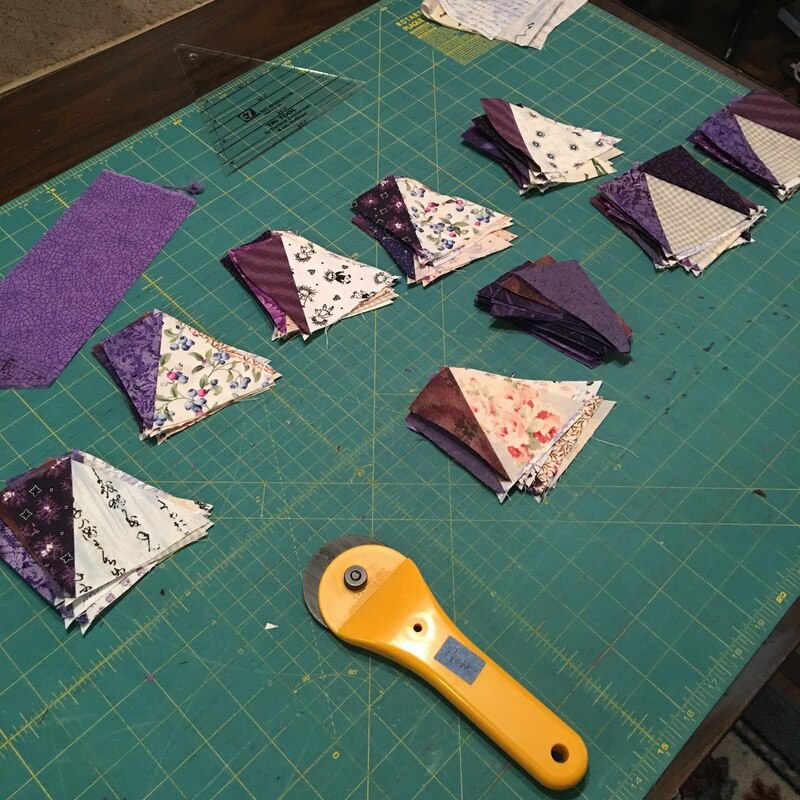 Lovely fabrics you're using En Provence, and you've thought up a very interesting layout! I wonder ...! 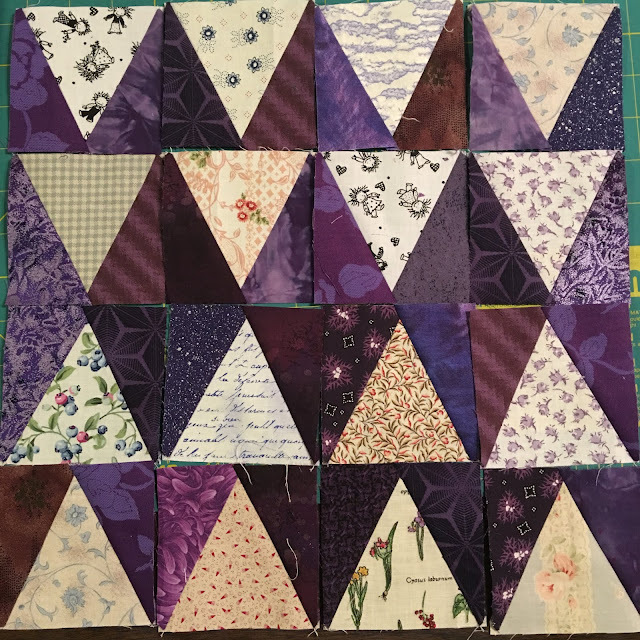 Your purple blocks look great! I can pick out some fabrics that I have in my scrap box too! Your mystery units are looking lovely. 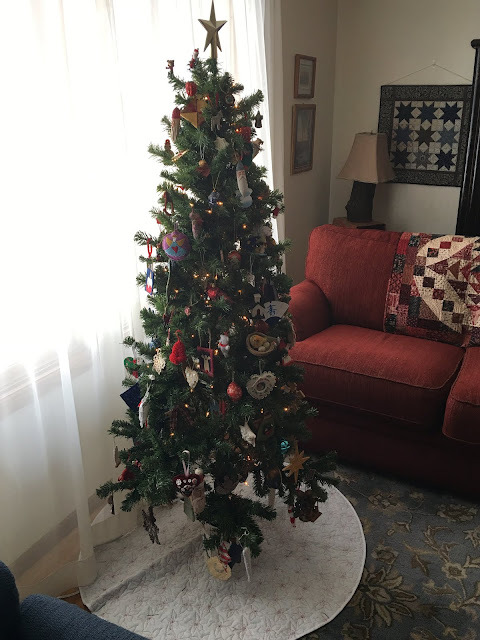 I enjoyed seeing your Christmas decorations, too! Your tri recs are looking great! I love your tree. 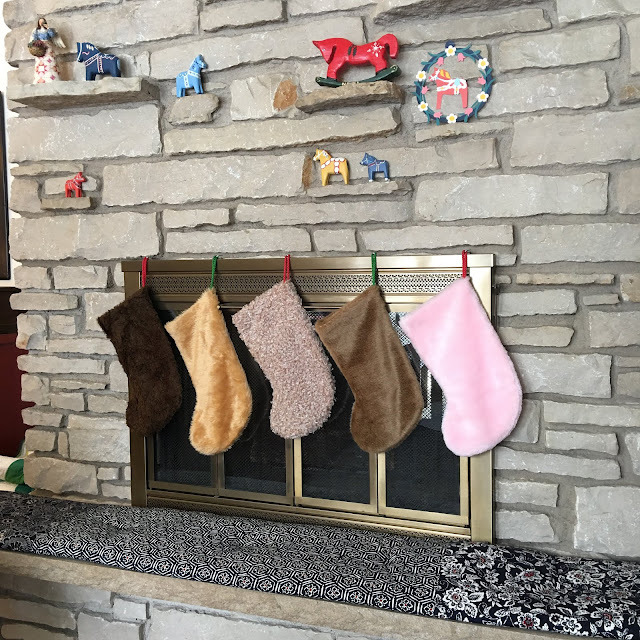 I still hang the ornaments the kids made when they were small. They are over 30 years old! Happy sewing. I really like your fabrics. Love the decorations. I know I wouldn't have the patience to work on a mystery quilt .... especially if I had to make 80 of anything. 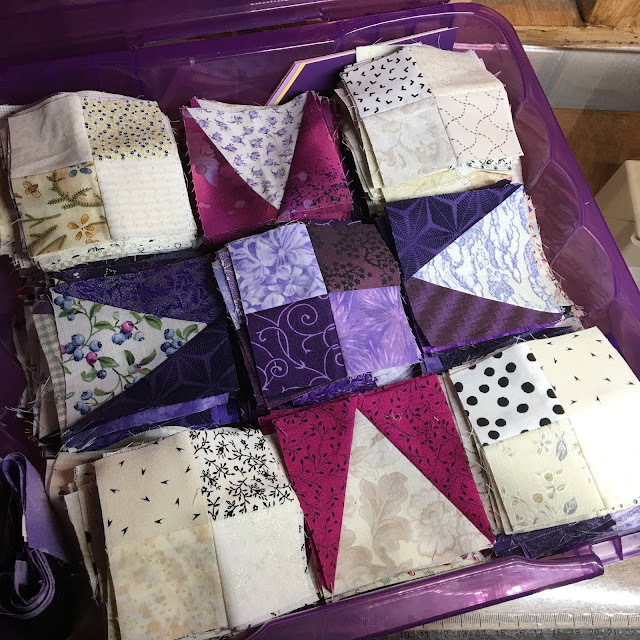 You're making great progress, and I'm sure the quilt will be amazing when finished!